YES! 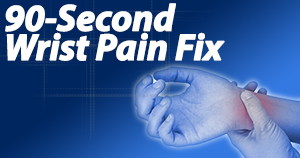 You can live pain-free every day. 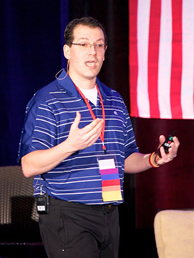 I am Rick Kaselj and they call me “The Pain Hacker”. The information and exercises that you’ll discover in this program are truly unique. My name is Rick Kaselj, and I am a Registered Kinesiologist and Personal Trainer with a Masters Degree focusing on therapeutic exercise. Over the years, I have conducted extensive medical research, collecting data, and testing theories to determine exactly what exercises work, and more importantly… what doesn’t. I first-hand experience working with thousands of clients for over 20 years. In addition, I have spent years teaching my techniques to other Health & Fitness professionals around the world. Over the years, I have seen countless fitness fads come and go. But my methods have stood the test of time. 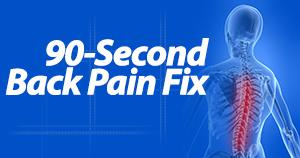 I’d like to send you a free copy of my newest DVD, “The 90-Second Pain Solution”. Since 1994, I’ve been helping people overcome chronic pain, allowing them to get back to their active, pain-free and happy lives. 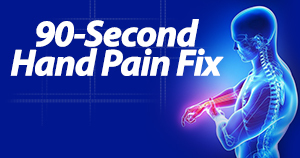 In this free DVD, I go through the most common types of chronic pain that people encounter, such as sharp and shooting back pain, crippling knee aches and severe shoulder and elbow pain. 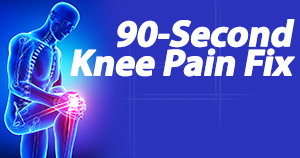 I give you a quick and simple “90-Second Pain Solution” that you can do anytime and anywhere to overcome the aches and pains that have been keeping you from enjoying life. 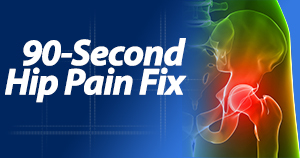 In fact, my unconventional ‘Pain Fixes’ have been featured in publications like Men’s Health Magazine, Men’s Journal, Livestrong.com, and dozens of other magazines, newspapers and online medical resource sites. 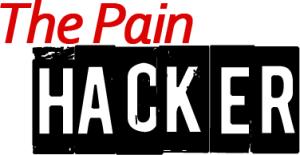 Plus, my pain hacks are used by thousands of health & fitness professionals worldwide who want their clients to stay happy, healthy, and pain-free. Get the DVD for FREE! Just Pay LOW Shipping Fee! You will also receive ‘Top 10 Morning Movements to Loosen Up Your Joints’. If you don’t have time to watch a video before heading off to the office, simply print out the handy one-page reference guide that outlines the best morning movements for your neck, shoulders and back. 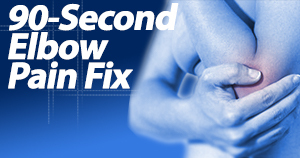 A quick flip through the guide is all you need to help you loosen up your joints. 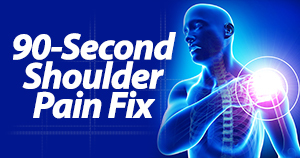 I will show you exactly how to perform each exercise so that you can relieve your pain at any time. This is truly the perfect addition to your daily routine. If you’re suffering from chronic back or joint pain, and you’ve been unable to find relief, the simple pain hacks in my DVD will finally end your daily torment so you can reclaim your full and active life. I have a limited number of DVDs available and I'd like to send you one for FREE with no strings attached. You’ll only need to pay a small $4.95 shipping and handling charge, that’s it. Because of the limited supply, please request only one DVD. If your goal is to overcome the aches and pains that are slowing you down and live a happy, healthy, and pain-free life, then request your free copy of The Pain Hacker DVD TODAY! Remember... regardless of your current health condition, gender and age, this system WILL work for you! This offer is LIMITED, so TAKE ACTION RIGHT NOW! You will also get unlimited access to the Invincible Body Academy program FREE for 14 days. You’ll gain instant access to our extensive exercise library, including videos, blueprints, handouts, our secret community group and much more! Your member login details will be sent to your email immediately after purchase. If you have any problems logging in or accessing your materials, email us at support@ExercisesForInjuries.com. After your free 14-day trial, your subscription will automatically renew for just $47/month until you decide to cancel. You can cancel anytime, no questions asked. P.P.S. - You have nothing to lose and everything to gain. P.P.P.S. - The DVD is yours FREE. All you need to do is help with the $4.95 shipping and handling fee. So, what’s holding you back? 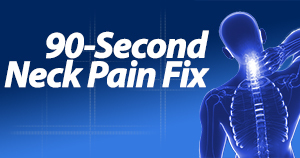 Grab your own copy of the The 90-Second Pain Solution DVD TODAY!